There's something about kids and bottleneck glasses that's always killed me. It's only the under seven crowd who can pull this look off (something I wish I had known in grade three...), and five-year-old Violet Affleck is rocking the spectacles. 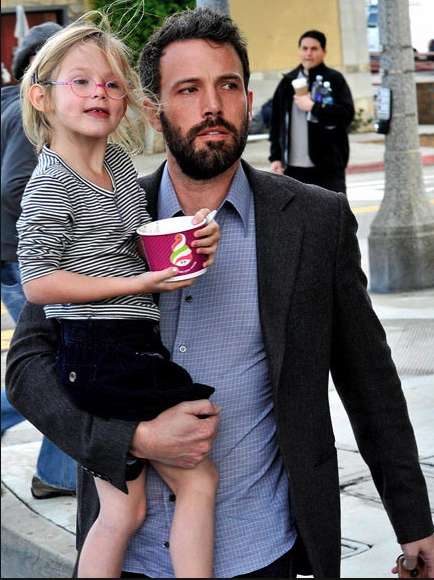 Spotted in Santa Monica with her disheveled father Ben Affleck, Violet looked adorable. Don't you love the daddy and me act?